ST. LOUIS, MO (KTVI)- A form of medical marijuana may be legal in Missouri, but patients are finding doctors afraid to even discuss it. It’s called CBD hemp oil, extracted from a type of marijuana that cannot get you high. It’s now legal in Missouri for treating intractable epilepsy, but families say some doctors are afraid to honor the new law. Robert Tufts, 11, says it hurts when he seizes. He takes a handful of pills he says sometimes make him feel worse. His mom, Stephanie, thinks CBD oil could be a better way, but she can’t convince her son’s doctor. FOX 2 has learned only 66 families in Missouri have obtained medical cards to buy CBD oil, with potentially thousands of families asking for it. Treasurer Eric Schmitt fought for the new law when he was State Senator. “This idea that you’ve tried everything and it’s not working, but there may be something that is now legal in the State of Missouri to now possess and use and that a doctor and a hospital would not allow families to access that – there’s no excuse for it,” said Schmitt. Schmitt has met with hospital administrators across the State trying to get them to reconsider. There is one hospital working with patients. It’s in St. Louis, SSM Health Cardinal Glennon Children’s Hospital. Dr. Goretzke is director of child neurology at SSM Health Cardinal Glennon Children’s Hospital. Patients must first try three traditional prescriptions without success. 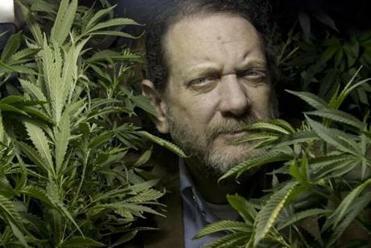 The marijuana strain that’s cultivated for its CBD oils does not contain the psychoactive THC, which hurts brain development, but Dr. Goretzke says there’s no research to answer whether CBD oil could still present risks. He acknowledged they must start somewhere, but said it would help if there was research money to help answer their concerns. Dr. Goretzke also said this is not a mandate and the hospital will respect individual doctors who might not want to be part of it. VIA/Hemp oil extracts containing CBDs (cannibidiols) are such a threat to the pharmaceutical industry that the FDA is now invoking totally insane justifications for outlawing them. The FDA has also started sending aggressive warning letters to CBD product marketers. 3) Because CBDs work so well and have been authorized for drug investigations, the FDA now OUTLAWS them being sold as dietary supplements. “FDA HAS CONCLUDED THAT CANNABIDIOL PRODUCTS ARE EXCLUDED FROM THE DIETARY SUPPLEMENT DEFINITION UNDER SECTION 201(FF)(3)(B)(II) OF THE FD&C ACT. Adulterated with what, exactly? CBDs, of course! 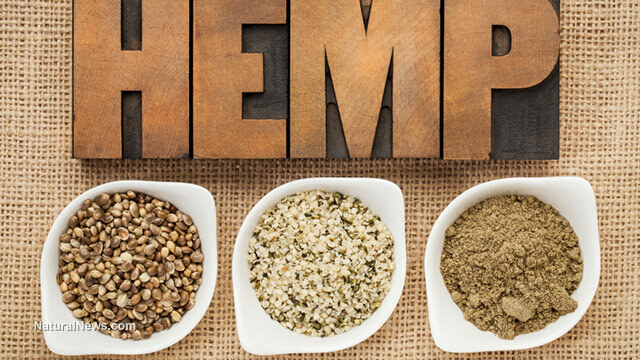 “THE DEBATE OVER HEMP CBD’S LEGAL STATUS CONTINUES AFTER FDA SENT EIGHT WARNING LETTERS TO MANUFACTURERS OF CBD DIETARY SUPPLEMENT AND FOOD PRODUCTS EARLIER THIS MONTH,” REPORTS NUTRITIONAL OUTLOOK. “Drugs,” according to the FDA, are substances that are proven to treat, prevent or cure a disease, and thus the FDA’s own logic admits that CBDs must be able to treat, prevent or cure diseases, otherwise they would be useless as “drugs”. But when a dietary supplement company makes the same claim, they are hit with aggressive warning letters from the FDA, threatening to shut them down, confiscate their products and seek criminal prosecution of the company executives. Do you see how this twisted, corrupt regulatory tactic can allow the FDA to instantly criminalize any dietary supplement, vitamin, herb or plant extract? Vitamin D, for example, could be outlawed by the FDA announcing that it has granted “Investigational New Drug application (IND)” status to any drug company studying vitamin D.
Using this same corrupt, mafia-style tactic, the FDA could outlaw resveratrol or even vitamin C, denying Americans the right to access safe, affordable, natural substances that are routinely found in nature. If humanity is ever to achieve medical freedom, we must end the FDA’s outrageous medical monopolization of plant molecules such as CBDs. By allowing this corrupt, criminally-run regulatory agency to criminalize every molecule found in nature, our nation’s lawmakers condemn us all to life in what can only be called medical totalitarianism under FDA tyranny. Any time a healing substances is found in nature, the FDA can simply assert that such molecules are now in the process of being studied as drugs and are therefore illegal to sell as dietary supplements even though they were developed by Mother Nature, not drug companies. This FDA tactic is nothing more than the FDA proclaiming intellectual monopolies over all molecules of interest found in nature. It is Monsanto-like in its arrogance and wickedness, and it deprives the People of their right to access medicinal plants and healing substances that have existed in nature for countless thousands of years long before the FDA ever came into existence (1906). If we do not stop this FDA, we are all doomed to living under a totalitarian regulatory regime that will systematically criminalize every healing molecule found in nature, from the curcuminoids in turmeric root to green tea catechins and even phycocyanins found in spirulina. That this federal agency has now resorted to such tactics of medical totalitarianism and outright tyranny is proof that we need to strip the FDA of regulatory powers over natural dietary supplements and limit its domain to pharmaceutical drugs only. Coincidentally, a Presidential election is upon us that threatens to shake up the entire establishment if the right person wins. “Establishment” candidates on both sides of the aisle would simply continue the FDA war on natural molecules that’s now under way, but there is one candidate who has openly threatened to challenge the authority of federal regulators like the EPA and FDA. On this point, I must agree that inaccurate label claims deserve regulatory enforcement. The CBD industry is heavily populated with fraudulent sellers whose products often contain no CBDs at all. “THE FDA HAS TURNED ITS BACK ON THE CANNABIS INDUSTRY, CLAIMING THAT CBD PRODUCTS CANNOT BE SOLD AS DIETARY SUPPLEMENTS,” REPORTSCANNA BUSINESS. The second target of the FDA is companies that made disease treatment claims that their CBD products might treat epilepsy, cancer or other conditions. The FDA, of course, routinely attacks any dietary supplement maker that tells the truth about the medicinal benefits of their products. According to the FDA, there is no such thing as any food, nutrient, herb or natural molecule that has any ability whatsoever to treat, prevent or cure any disease. This position is, of course, patently absurd and stands in total violation of nutritional science, but it is the “big lie” the FDA must maintain in order to keep putting dietary supplement companies out of business. Once the FDA finishes destroying all the companies with inaccurate labels and disease marketing claims, it will target all the honest suppliers of CBDs who are selling genuine, honest products that contain accurate CBD labels. This is the real goal of the FDA: to threaten, intimidate and destroy the entire CBD industry and thereby protect the medical monopolies of drug companies that can’t wait to cash in on these amazing molecules that really do treat disease (otherwise, Big Pharma would have no interest in them). And so the great medical monopoly racket marches on, with the FDA giving a big “F-YOU” to the American people while handing lucrative medical monopolies to its greed-driven friends in the pharmaceutical industry. Meanwhile, the American people are denied healing medicine that works at a fraction of the cost of overpriced pharmaceuticals. Entrepreneurial companies that offer such hemp oil extracts containing CBDs — natural medicines that could help reduce human suffering while lowering health care costs nationwide — are threatened by the FDA with devastating enforcement actions that could land their executives in prison. This is all part of the FDA’s war on natural medicine that systematically criminalizes molecules found in nature and the people who seek to make those molecules available to patients in need. While disease suffering skyrockets across America and medical expenses push more and more families over the threshold of bankruptcy and destitution, isn’t it comforting to know that your federal government is doing everything in its power to deny you access to safe, affordable natural medicine while protecting the profits of the drug giants? What can you do to oppose this medical tyranny by the FDA? None of this is ever going to change, by the way, if we keep electing establishment politicians to the White House. If you want to see real change in the legalization of hemp extract components such as CBDs, you’d better vote for someone who terrifies the establishment and threatens to tear it down. At the same time, you need to support health freedom organizations like the Alliance for Natural Health, which is fighting to keep dietary supplements legal in America. You should also watch this video animation that exposes the anti-dietary supplement bias of PBS Frontline, which recently ran a totally dishonest hit piece documentary attacking supplements. There is a nationwide effort under way right now to criminalize ALL dietary supplements and force every plant extract, vitamin or food concentrate to be regulated by the FDA as if they were prescription drugs. This would utterly wipe out the entire dietary supplements industry and plunge America into an era of runaway disease, suffering and death as people are denying access to the healing nutrients that are presently preventing disease (and even reversing serious disease in some cases). Finally, share this story and join the Natural News email list (below) to stay informed on all this. As the editor of Natural News, I am fighting for your right to access CBDs and hemp oil extracts, as they are amazing natural medicines that can treat, prevent and in some cases even help cure serious health conditions. We have a fundamental human right to access healing plants found in nature, and the FDA has systematically sought to destroy that right and criminalize those who seek to express it. Access to Mother Nature’s healing molecules is a fundamental human right that exists above and beyond the Bill of Rights. It is a DIVINE right. To reestablish our access to these rights, we need a political revolution in Washington that puts people in power who are ready and willing to dismantle the FDA and end its devastating monopolies over dietary supplements, medicinal herbs and natural molecules found in nature. We need to legalize health freedom in America and set this nation on a new path of disease prevention and drastically reduced health care costs through access to affordable, natural medicines. The only way to accomplish this is to end the FDA’s reign of tyranny over the dietary supplements industry. We need a new health freedom revolution in America, and it starts at the ballot box. It’s time to start electing outsiders, not insiders… people who the terrify the Washington establishment because they know their insidious grip on regulatory power will be challenged. If you want medical marijuana legalized, or if you want access to CBD oil as an affordable dietary supplement, it’s time to start voting for people the establishment is desperately trying to destroy. Because it is only those people who have any real hope of achieving the kind of political and legislative goals that will end the FDA’s stranglehold on natural medicine in America. (NaturalNews) Hemp oil extracts containing CBDs (cannibidiols) are such a threat to the pharmaceutical industry that the FDA is now invoking totally insane justifications for outlawing them. If humanity is ever to achieve medical freedom, we must end the FDA’s outrageous medical monopolization of plant molecules such as CBDs. By allowing this corrupt, criminally-run regulatory agency to criminalize every molecule found in nature, our nation’s lawmakers condemn us all to life in what can only be called medical totalitarianism under FDA tyranny. This FDA tactic is nothing more than the FDA proclaiming intellectual monopolies over all molecules of interest found in nature. It is Monsanto-like in its arrogance and wickedness, and it deprives the People of their right to access medicinal plants and healing substances that have existed in nature for countless thousands of years long before the FDA ever came into existence (1906). Coincidentally, a Presidential election is upon us that threatens to shake up the entire establishment if the right person wins. “Establishment” candidates on both sides of the aisle would simply continue the FDA war on natural molecules that’s now under way, but there is one candidate who has openly threatened to challenge the authority of federal regulators like the EPA and FDA. 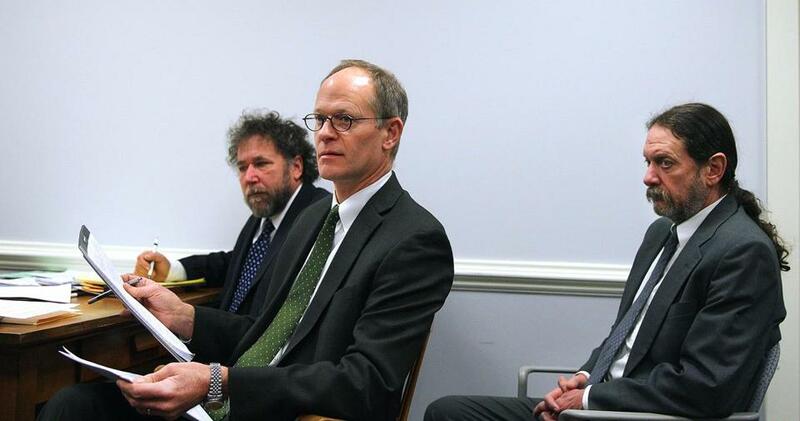 The FDA has now declared war on CBDs and hemp oil extracts. Its first targets are those companies who have inaccurate label claims or are committing outright fraud in claiming CBD concentrations that don’t even exist in their products. ly attacks any dietary supplement maker that tells the truth about the medicinal benefits of their products. According to the FDA, there is no such thing as any food, nutrient, herb or natural molecule that has any ability whatsoever to treat, prevent or cure any disease. This position is, of course, patently absurd and stands in total violation of nutritional science, but it is the “big lie” the FDA must maintain in order to keep putting dietary supplement companies out of business. Once the FDA finishes destroying all the companies with inaccurate labels and disease marketing claims, it will target all the honest suppliers of CBDs who are selling genuine, honest products that contain accurate CBD labels. This is the real goal of the FDA: to threaten, intimidate and destroy the entire CBD industry and thereby protect the medical monopolies of drug companies that can’t wait to cash in on these amazing molecules that really do treat disease (otherwise, Big Pharma would have no interest in them). And so the great medical monopoly racket marches on, with the FDA giving a big “F-YOU” to the American people while handing lucrative medical monopolies to its greed-driven friends in the pharmaceutical industry. Meanwhile, the American people are denied healing medicine that works at a fraction of the cost of overpriced pharmaceuticals. This is all part of the FDA’s war on natural medicine that systematically criminalizes molecules found in nature and the people who seek to make those molecules available to patients in need. While disease suffering skyrockets across America and medical expenses push more and more families over the threshold of bankruptcy and destitution, isn’t it comforting to know that your federal government is doing everything in its power to deny you access to safe, affordable natural medicine while protecting the profits of the drug giants? None of this is ever going to change, by the way, if we keep electing establishment politicians to the White House. If you want to see real change in the legalization of hemp extract components such as CBDs, you’d better vote for someone who terrifies the establishment and threatens to tear it down. There is a nationwide effort under way right now to criminalize ALL dietary supplements and force every plant extract, vitamin or food concentrate to be regulated by the FDA as if they were prescription drugs. This would utterly wipe out the entire dietary supplements industry and plunge America into an era of runaway disease, suffering and death as people are denying access to the healing nutrients that are presently preventing disease (and even reversing serious disease in some cases). Finally, share this story and join the Natural News email list (below) to stay informed on all this. As the editor of Natural News, I am fighting for your right to access CBDs and hemp oil extracts, as they are amazing natural medicines that can treat, prevent and in some cases even help cure serious health conditions. We have a fundamental human right to access healing plants found in nature, and the FDA has systematically sought to destroy that right and criminalize those who seek to express it. Access to Mother Nature’s healing molecules is a fundamental human right that exists above and beyond the Bill of Rights. It is a DIVINE right. We need to legalize health freedom in America and set this nation on a new path of disease prevention and drastically reduced health care costs through access to affordable, natural medicines. The only way to accomplish this is to end the FDA’s reign of tyranny over the dietary supplements industry. We need a new health freedom revolution in America, and it starts at the ballot box. It’s time to start electing outsiders, not insiders… people who the terrify the Washington establishment because they know their insidious grip on regulatory power will be challenged. If you want medical marijuana legalized, or if you want access to CBD oil as an affordable dietary supplement, it’s time to start voting for people the establishment is desperately trying to destroy. Because it is only those people who have any real hope of achieving the kind of political and legislative goals that will end the FDA’s stranglehold on natural medicine in America. Click here to preorder your copy of “Food Forensics” now. ZaZZZ is the world’s First Consumer Automated Medical Marijuana Vending Machine. Improved second generation 3D touch screen machines will be delivered to Michigan and Arizona. American Green’s ZaZZZ machines in Kentucky will be the first of it’s kind to vend Hemp products directly to the consumer. American Green will also be ordering an additional 20 ZaZZZ from VE Global for distribution throughout the country. Tempe, AZ, March 02, 2015 –(PR.com)– American Green (OTC: ERBB) — With the signing last week of an additional five ZaZZZ leases, American Green is ordering the next twenty machines built by VE GLOBAL. These new 3D touch screen ZaZZZ vending machines will join the other eighteen machines currently under various stages of public release into Medical Marijuana approved states. The two machines carrying Hemp products will be brought online in Arizona at Hempful Farms and the other in Michigan with the Michigan Hemp Company. All 28 machines represent a multi-state effort that meet regulatory compliance while creating a process for broader expansion with the forward-thinking companies who have, or expect to be ordering, the new Consumer operated ZaZZZ Medical Marijuana Vending Machines. Annual sales for the United States vending industry are estimated between $19 Billion and $29 Billion. The income produced by a single Zazzz vending machine can vary depending on the kind of products being dispensed and the location of the machine. American Green is expanding national operations of the second generation ZaZZZ into its 6th state. The Kentucky machines are the first machines to carry Hemp products along with products from American Green including it’s vape pen, ogtea, and clothing line. Further distribution of ZaZZZ into Medical Marijuana approved states will continue throughout the year. "We are constantly improving ZaZZZ with our own in house R&D. We are also using real life data from our from our existing machines in Colorado and Washington State to help improve ZaZZZ. We have recently integrated our proprietary Tomassi patent into ZaZZZ and have added a 3D touchscreen for ease of use,” say Carl Kaiser, Director of ZaZZZ Logistics. “ZaZZZ will always be improving with every day bringing more requests, opportunities, accomplishments and, most of all, a one day closer to our goal of creating the safest, consumer automated, verified vending system in America. I’m extremely excited to be part of making this happen,” Kaiser concludes. More About American Green, Inc. Founded back in 2009 as one of the first publicly-traded medical marijuana-related companies in the world, American Green is proud to have the largest certified shareholder base which now numbers well over 50,000. The Company is keenly focused on developing, retailing, branding, and establishing commercial cultivation solutions under its proprietary American Green name along with our partners who are licensed retail medical marijuana dispensaries. American Green believes that the renewal of the legalized cannabis industry in the United States will aid in getting our economy back on its feet through increased employment in all related sectors — retail, real estate, contracting, farming and more. Additional revenues, fueled by taxing cannabis sales, and the decreased cost of housing prisoners who are no longer in prison for possession of cannabis should contribute to the renewal. Hard work and a clear vision propel American Green into the future. The centerpiece of our company is ZaZZZ, our unique automated vending solution designed specifically around American Green’s licensed proprietary patent technology. This press release contains forward-looking statements. The words or phrases "would be," "will allow," "intends to," "will likely result," "are expected to," "will continue," "is anticipated," "estimate," "project," or similar expressions are intended to identify "forward-looking statements." Actual results could differ materially from those projected in American Green’s and/or Greenhouse Solutions’ ("the Company" or “the Companies”) business plan(s). The joint venture for the use of CBDs should not be construed as an indication in any way whatsoever of the future value of the Company’s common stock or its present or future financial condition. The Company’s filings may be accessed at the SEC’s Edgar system. Statements made herein are as of the date of this press release and should not be relied upon as of any subsequent date. The Company cautions readers not to place reliance on such statements. Unless otherwise required by applicable law, we do not undertake, and we specifically disclaim any obligation, to update any forward-looking statements to reflect occurrences, developments, unanticipated events or circumstances after the date of such statement.